By YES Philippines in Latest News on October 11, 2018 . 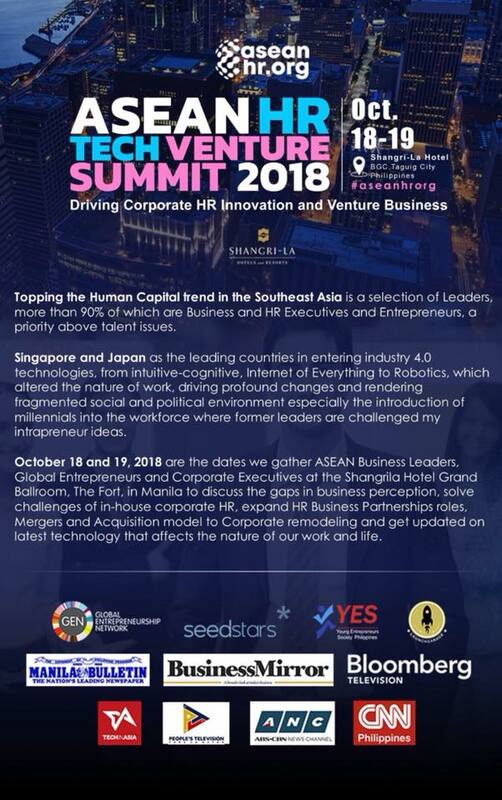 Human Resource, Technology and Venture Business combine at the ASEAN HR Tech Venture SummitThe ASEAN HR Tech Venture Summit is set to be held on October 18-19 at Shangri-La at the Fort, Bonifacio Global City. The event will gather ASEAN business leaders, movers, and shakers to discuss the gaps between HR and technology, insights on the current human capital trends and more. The ASEAN HR Tech Venture Summit will be graced by speakers and a panel of global entrepreneurs, business leaders and corporate from all over the world. Tagcash Founder, Mark Vernon will be joining as one of the event speakers, with over 30 years of experience as a Serial Tech Entrepreneur, Vernon has become an Angel Investor to multiple startups in the Philippines. Other speakers include Sharon Lee of HReasily, Srikanth Chandrashekhar of Pall Corporation, Paul Rivera of Kalibrr, and over 30 other speakers and panelists with expertise in the field. 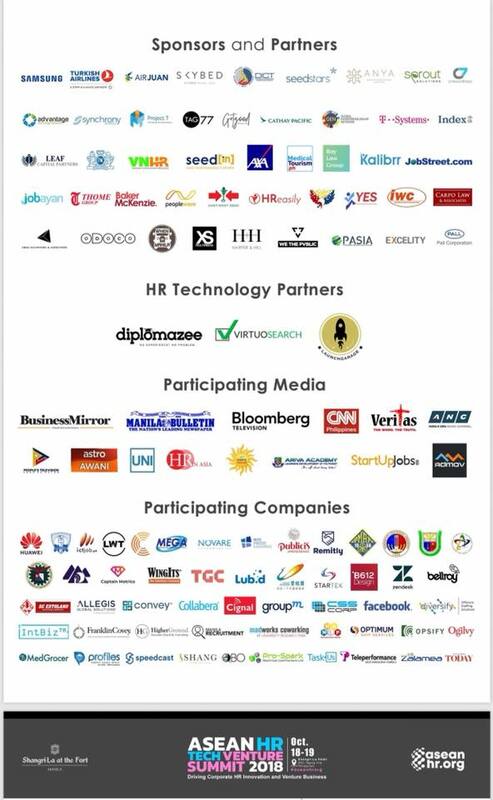 The ASEAN HR Tech Venture Summit 2018 is presented by ASEANHR.org, with support of Project T, WhenInManila, Synchrony Global and Harper and Hill.